Kia Nurse remembers when being a Canadian basketball player meant flying under the radar. The Hamilton, Ont., native arrived at the University of Connecticut in 2014 without the fanfare that many top recruits receive. Although Nurse was ranked 33rd in ESPN’s class of prospects that year, she believed it was only because she was attending a highly-touted program. Four years later, the 22-year-old left UConn with two national championships and was selected 10th overall in the WNBA’s draft by the New York Liberty. “People didn’t really know who I was … that was kind of the turning point where people started turning their heads,” Nurse said. 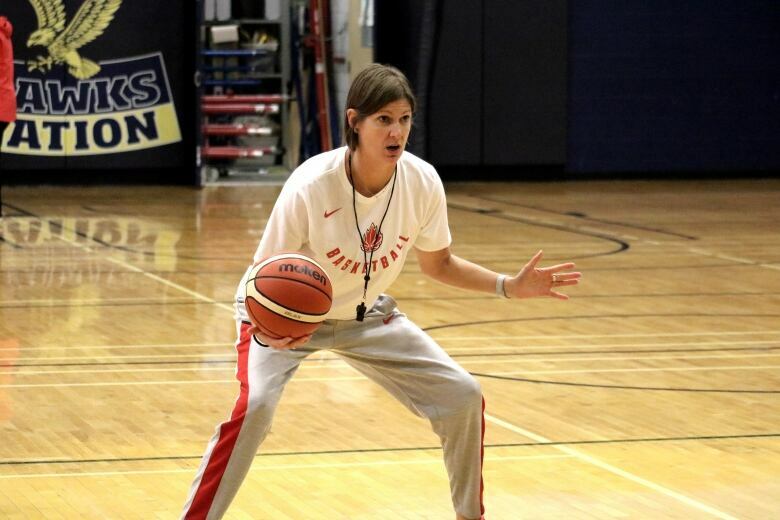 Nurse’s rise to prominence coincides with that of Canadian senior national team, which enters this week’s FIBA Women’s Basketball World Cup (Sept.22-30) in Tenerife, Spain ranked a program-high fifth in the world. Canada is no longer just happy to have a seat at the table. Throughout the team’s training camp earlier this month, players spoke about their belief in one another and that’s carried over onto the court. Over the past two weeks, Canada nearly dealt the top-ranked Americans their first home loss in almost 19 years and suffered a narrow 72-68 loss to third-ranked France during a pre-tournament exhibition series. Head coach Lisa Thomaidis sees a “collective confidence” within her squad — which returns eight members from its seventh-place team in Rio — but knows the job is far from finished. “We haven’t proven anything yet … we haven’t won a quarter-final at a major international event yet so our eyes are really on that prize,” Thomaidis said. Despite the continuity, the team will look different than the one that suited up at the 2016 Summer Olympics. In the past year, Thomaidis experimented with an up-tempo playing style that maximized her team’s biggest assets — speed and athleticism. With Canada Basketball developing more complete, polished players at its grassroots in recent years, Thomaidis now has the personnel to implement those strategic changes. They’ve practised applying a full-court press which Thomaidis notes was effective in their 74-68 loss to the Americans. When Canada sets its half-court defence, the team has players like Nurse that can guard multiple positions and switch with one another without missing much of a beat. Nurse won the NCAA’s defensive player of the year award in her senior year and the guard’s prowess has only improved by matching up nightly against the WNBA’s best. On the offensive end, Canada is just as versatile. In a pre-world’s tuneup against a smaller Japanese squad, the Canadians took advantage of their height by continuously pounding the ball inside to their big players — Natalie Achonwa and Miranda Ayim — who scored 16 and 15 points, respectively. When opponents can size up, their interior players can stretch the defence as playmakers and perimeter jump-shooting threats, opening up space for the backcourt to attack the paint. “Our posts are very dynamic. All across the board, we’re super athletic at a level we haven’t been before … we have offensive threats now but we’re able to carry over the defence that has been a core part of our culture for years,” Ayim said. 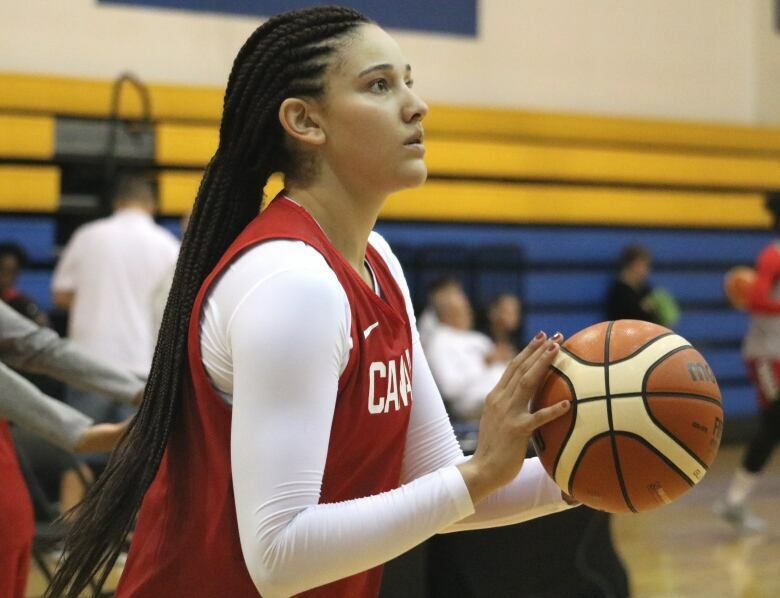 With steady guard play from Nirra Fields — last year’s FIBA AmeriCup MVP — and Miah-Marie Langlois, Nurse’s ball-handling responsibilities are reduced and she can focus on being Canada’s go-to player. With Nurse off the ball more and playing as a small forward, Thomaidis can use ball screens to free her up on offence similar to how the Liberty have utilized her. Over her collegiate years, Nurse became more than just a slasher, establishing an outside shot that put her amongst the elite in three-point shooting. Canada’s medal quest begins against 20th-ranked Greece on Sept. 22, followed by 16th-ranked Korea on Sept. 23 before concluding group play against France — which eliminated the Canadians in the quarters at Rio — on Sept. 25. The winner of the group earns a direct berth into the quarter-finals and likely won’t play a higher-ranked team until the semis, where world No. 4 Australia probably awaits. Finishing second or third almost ensures a quarter-final meeting against the top-ranked Americans or second-ranked Spain — assuming Canada makes it through the first knockout stage game. There’s an opportunity to do something special at the tournament and the Canadians know how much a medal would mean to further grow women’s basketball. Brooke Henderson’s victory at the CP Women’s Open last month — in front of many children donning “Brooke’s Brigade” t-shirts — is just another reminder for Nurse and her teammates of the type of impact they can make. Rob Pizzo breaks down how the Leafs were able to get the biggest free agent on the market, at a cheaper price than everyone else.